EGF receptor (EGFR) signalling is required for normal beta cell development and postnatal beta cell proliferation. We tested whether beta cell proliferation can be triggered by EGFR activation at any age and whether this can protect beta cells against apoptosis induced by diabetogenic insults in a mouse model. We generated transgenic mice with doxycycline-inducible expression of constitutively active EGFR L858R (CA-EGFR) under the insulin promoter. Mice were given doxycycline at various ages for different time periods, and beta cell proliferation and mass were analysed. Mice were also challenged with streptozotocin and isolated islets exposed to cytokines. Expression of EGFR L858R led to increased phosphorylation of EGFR and Akt in pancreatic islets. CA-EGFR expression during pancreatic development (embryonic day [E]12.5 to postnatal day [P]1) increased beta cell proliferation and mass in newborn mice. However, CA-EGFR expression in adult mice did not affect beta cell mass. 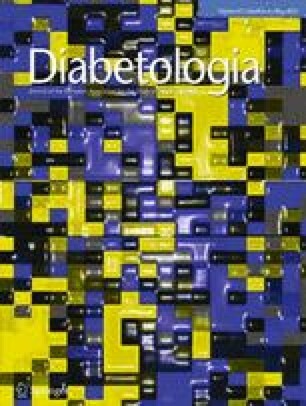 Expression of the transgene improved glycaemia and markedly inhibited beta cell apoptosis after a single high dose, as well as after multiple low doses of streptozotocin. In vitro mechanistic studies showed that CA-EGFR protected isolated islets from cytokine-mediated beta cell death, possibly by repressing the proapoptotic protein BCL2-like 11 (BIM). Our findings show that the expression of CA-EGFR in the developing, but not in the adult pancreas stimulates beta cell replication and leads to increased beta cell mass. Importantly, CA-EGFR protects beta cells against streptozotocin- and cytokine-induced death. Päivi J Miettinen and Timo Otonkoski contributed equally to this work. The online version of this article (doi: 10.1007/s00125-014-3175-2) contains peer-reviewed but unedited supplementary material, which is available to authorised users. The authors thank H. Varmus (National Cancer Institute, Bethesda, MD, USA) for providing the TetOP-EGFR-L858R mice and Y. Dor (Hebrew University-Hadassah Medical School, Jerusalem, Israel) for the INS-rtTA mice. The authors also thank J. Palgi, V. Hakonen, E. Korhonen and U. Kiiski (all from the University of Helsinki, Helsinki, Finland) for technical assistance. J. Klefström, University of Helsinki, is thanked for providing antibodies. These studies were funded by the Diabetes Research Foundation, a research grant from Helsinki University Central Hospital, the Foundation for Pediatric Research, the Sigrid Jusélius Foundation, the Helsinki Biomedical Graduate Program, the Orion-Farmos Research Foundation, the Biomedicum Helsinki Foundation, the Academy of Finland and the European Union (projects Naimit and BetaBat, in the Framework Programme 7 of the European Community to DLE). EH designed and performed experiments, and wrote the manuscript. JU designed and performed experiments and revised the manuscript. DLE designed experiments and revised the manuscript. HS designed and performed experiments, and revised the manuscript. PJM and TO designed experiments, provided funding and revised the manuscript. All authors approved the final version of the manuscript. EH, PJM and TO are responsible for the integrity of the work as a whole.